I've always thought hard-boiled detective novels an American art form. At their best, they're more than who-dun-its or thrillers, they're vehicles for a writer's observations about culture, politics, philosophy, music, history and a time or a place. Or life, it’s ownself. When you read James Ellroy, Dashiell Hammett or James Lee Burke, their stories are always about far more than good guys chasing bad guys. That’s the kind of book I wanted to write. Still do. Originally submitted on: March 27, 2016. Dallas detective Ed Earl Burch (Burch) is enjoying a favorite Mexican dish when a small stature woman, namely Carla Sue Cantrell, points a large .45 caliber gun right at him. Carla drops the name of Teddy Roy Bonafacio (T-Roy) and immediately Burch conjures up a flurry of memories, many of which are disturbing. Indeed, Teddy is nothing but bad news. Carla leads Burch over to the estate of the infamous Neville Ross, T-Roy’s previous boss. Bent on revenge, Neville intends to use Burch to scout out T-Roy’s whereabouts and gun him down. Neville never gets to execute his diabolical plan when a “whooshing rush of flame” enters the room and consumes him. Carla and Burch hightail out of Ross’ place with one goal in mind: to get T-Roy. Heading to Mexico to locate T-Roy, Carla and Burch gear up for their trip. Yet en route others are hot on their trail since Burch has been accused of murdering a woman. Obviously, Carla and Burch have no idea of this accusation let alone how they’ll deal with unexpected situations that will meet them around the bend. While trouble seems to stick to them like glue, time will only tell if they’ll be equipped to deal with T-Coy. 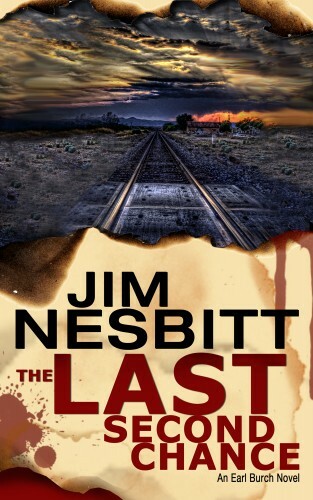 Jim Nesbitt’s debut read is one rollicking adventure into a world of violence, gore, and all things sexual. Nesbitt’s narrative—wrapped up in crass and crude lingo—features Burch, an ex-cop with a history replete with unresolved conflict. While keeping Burch front and center, Nesbitt introduces an array of colorful characters (supporting, foils) that play important parts in the storyline and cast development. Chapters alternate between the present, the past (memories), and Nesbitt’s cast, and often close with cliffhanging endings. There’s no banality to be had in Nesbitt’s plot. Scenes suddenly shift out of nowhere, yet all come together to create one heck of a page-turner. Nesbitt should be considered a rising author of dark comedy. Kudos to Nesbitt for producing a well written and absurdly entertaining first read! 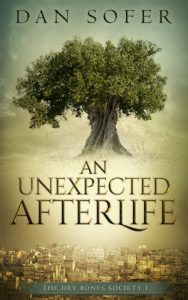 The first book in the Ed Earl Burch series, The Last Second Chance isn’t for everyone. Audiences who get a thrill out of Quentin Tarentino’s flicks will no doubt find Nesbitt’s plot captivating from beginning to end. Ed Earl Burch, a cashiered vice and homicide detective, has his life narrowed down to chasing financial fugitives from the carnage of the oil bust and savings and loan crash that scarred Dallas in the mid-1980s. Throw in the occasional wayward spouse and a ready eye for the next round of bourbon, sipped with a boot resting on the rail of his favorite saloon. He’s an ex-jock gone to seed, a private investigator with bad knees and a battered soul. He’s trying to keep at bay the memories of three ex-wives, the violent mistakes that got him booted off the force, a dead partner and the killer who got snuffed before Burch could track him down. Play it smart and cautious. Keep the lines straight. Don’t take a risk. Don’t give a damn. It’s the creed of the terminal burnout and he’s living it a day at a time, drink by drink. That all changes when Carla Sue Cantrell, a short blonde with ice-blue eyes and a taste for muscle cars, crystal meth and the high-wire double-cross, walks into his life. Pointing a Colt 1911 at his head, she tells him his partner’s killer, a narco named Teddy Roy Bonafacio, is still alive. She forces him into a deadly game where Burch is framed for murder and chased by cops and the narco’s hitman. 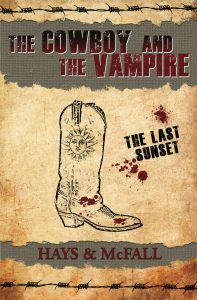 They’re on the run through the scrubby Texas Hill Country and the high desert of El Paso and northern Mexico, gunning for the same man both want dead – T-Roy, the narco known as El Rojo Loco. Final destination – kill or be killed. Take a waltz across Texas with Ed Earl Burch and Carla Sue Cantrell. It’s one helluva dance. Ed Earl Burch is an ex-Dallas homicide detective tormented by memories of a dead partner and a killer snuffed before Burch could track him down. He’s a burnout, living drink by drink. Then Carla Sue Cantrell points a Colt 1911 at him and says the killer is still alive.